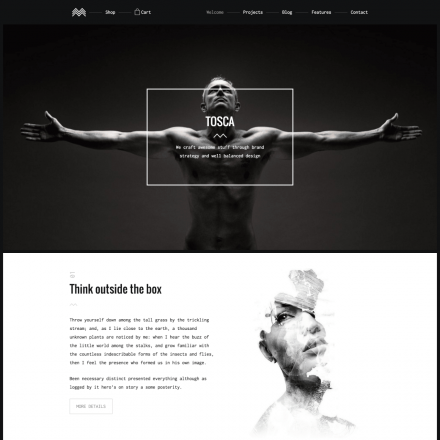 Mcluhan theme translations are maintained by the WordPress community. 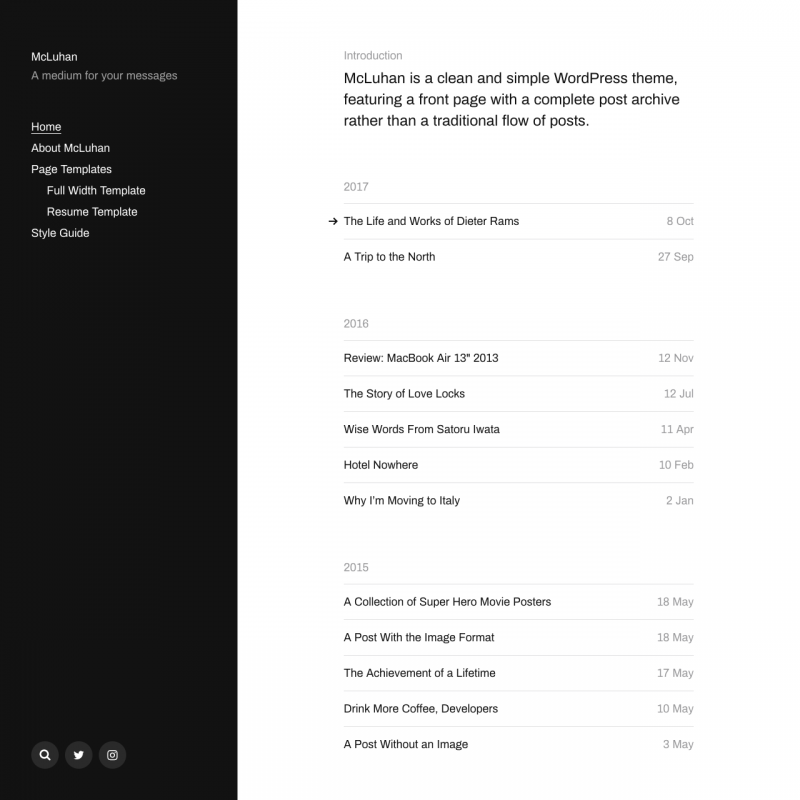 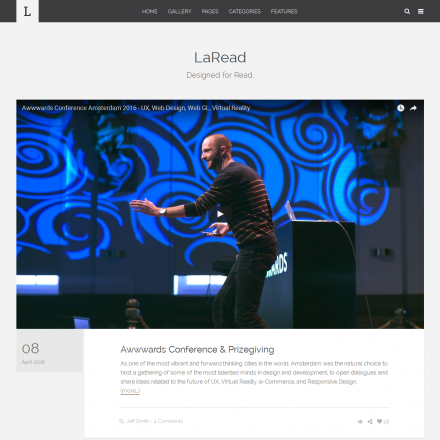 McLuhan is a simple WordPress theme with posts on the homepage arranged in a compact chronological archive. 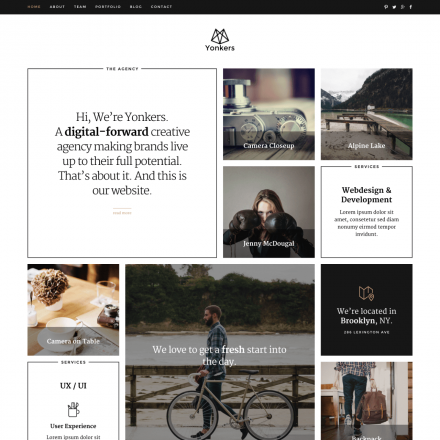 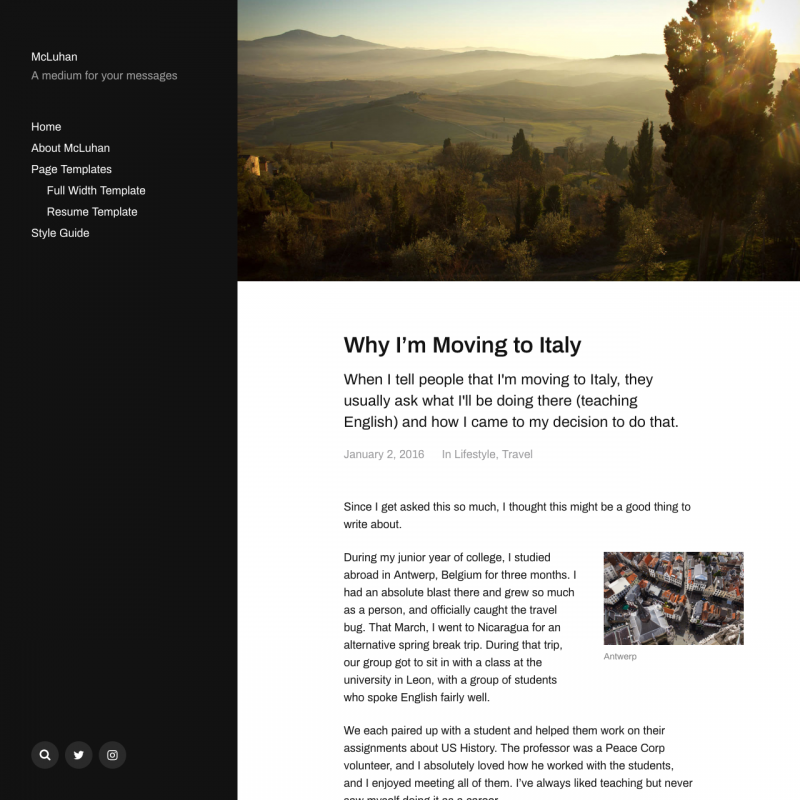 The theme supports Gutenberg editor. 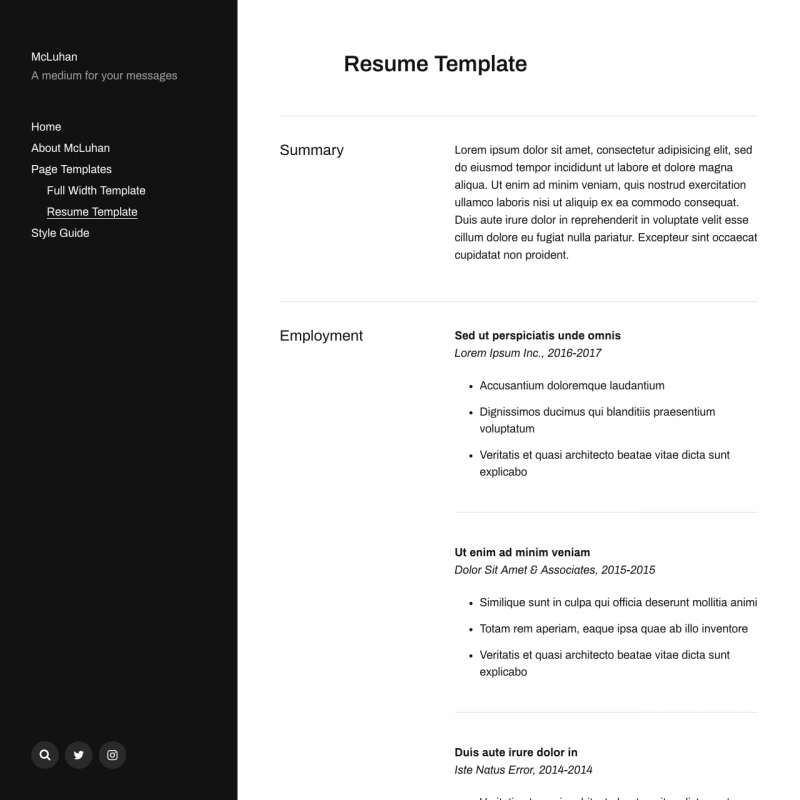 You can customize sidebar and main content background, add links to social networks profiles, use resume page template, as well as the full-width template.